"My family and I went to the Cheesecake Factory® in Nashville and we got the best cheesecake I had ever had. I came home and was determined to figure the recipe out. I tried it out one weekend and it tasted almost identical of the original. Garnish with more fresh banana slices." Place cookies in a food processor; pulse until finely crushed. Add margarine; pulse until well blended. Press the crumb mixture into the bottom of a 10-inch springform pan. Refrigerate crust until ready to use. Beat cream cheese in a large bowl with electric mixer at medium speed until creamy. Add 2/3 cup sugar and cornstarch; beat until blended. Add eggs, 1 at a time, beating well after each addition. Beat in bananas, 1/2 cup cream, and 1 tablespoon vanilla extract until well combined. Pour cream cheese mixture into the crust. Lay the pan on a baking sheet. Bake in the preheated oven for 15 minutes. Reduce oven temperature to 200 degrees F (95 degrees C); continue baking until center is almost set, about 1 hour 15 minutes. 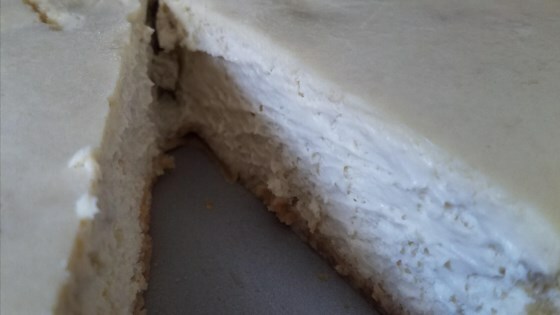 Loosen edges of cheesecake from the pan. Refrigerate, uncovered, until completely chilled, 6 hours to overnight. Beat 2 cups cream in a chilled glass or metal bowl with an electric mixer until frothy. Add 1/4 cup sugar and 1 tablespoon vanilla extract gradually, continuing to beat until soft peaks form. Top cheesecake with whipped cream. If you don't have a food processor you can crush the cookies by hand.